1) First of all, Dail *121*329# from your Aircel Mobile number. 2) You will get the 1GB 3G/2G Data at Rs 3 Only, Which is valid for 1 Day between 6am to 9am. 1) 1Gb 3g/2g Internet Data is valid for 1 Days and can be used from 6am to 9am in Morning. 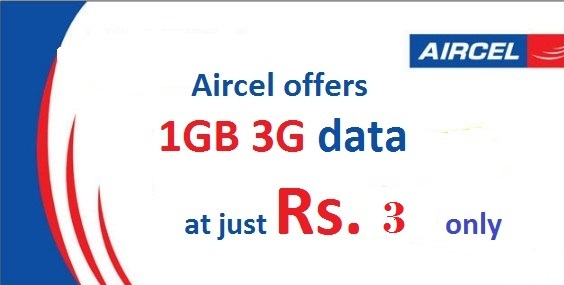 2) Offer valid for all aircel subscribers. 3) Valid for all circles.